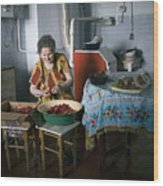 Stefania Cleans Strawberries In Chortkiw Ukraine by Yuri Lev - 10" x 8"
Stefania Cleans Strawberries In Chortkiw Ukraine poster by Yuri Lev. Our posters are produced on acid-free papers using archival inks to guarantee that they last a lifetime without fading or loss of color. All posters include a 1" white border around the image to allow for future framing and matting, if desired. Great shot & great subject! I appreciate your comment Georgia. Thank you very much for sharing this story. It's amazing, Joseph, how every picture tells a story, whether real or imagined. 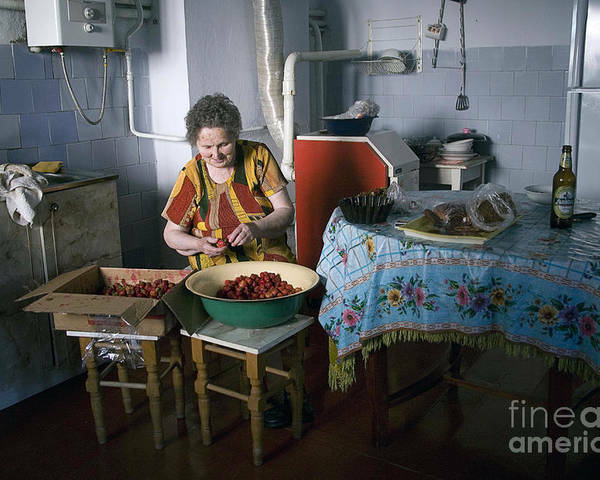 This photo makes me think about all the wonderful treats that this lady will make from these berries. Thought provoking photo. Thanks for all your comments. An elderly woman cleans strawberries in an old fashioned kitchen in Ukraine. Featured in the following FAA groups: 01. Light Marvels - 7/16/2018 02. FAA Portrait Gallery - 7/17/2018 03. New Faa Uploads Limit One Per Day 8/4/2018 04. No Place Like Home - 8/7/2018 05. Camera Art - 8/9/2018 06. Second Life Photographers - 8/12/2018 07. Out of the Ordinary 1 A Day - 8/12/2018 08. Your Very Best Photography - 8/22/2018 09. Life Is Not So Black And White Or Is It 9/15/2018 10. The Niche - 11/5/2018 All images are copyrighted by Yuri Lev Studio. All rights reserved. The Watermark will not appear on any FAA purchased product.